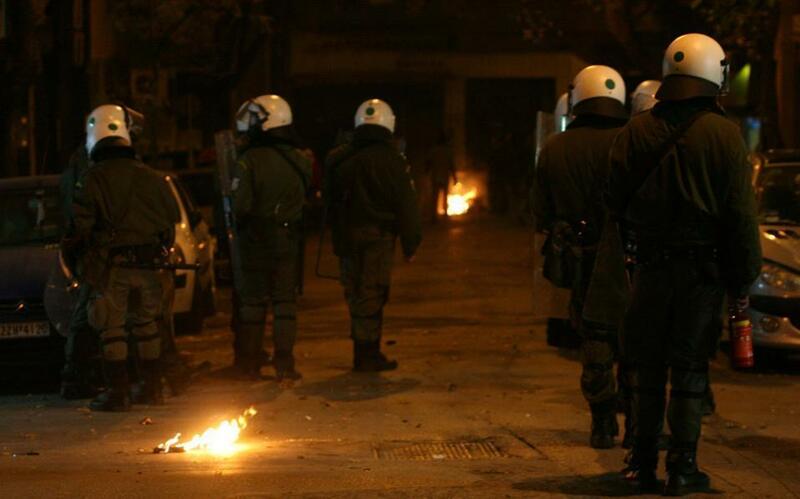 More attacks by self-styled anarchists on riot police in the Athens district of Exarchia took place late Saturday and early Sunday morning, authorities have reported. The attacks involved the anarchists hurling firebombs at the riot police who were stationed at the intersection of Patision and Tositsa Street and took place at 11:20 pm and 11:45 pm on Saturday evening and just after midnight at 12:25 am. The traffic was temporarily blocked on Patision Street due to the incidents. Later on around 1:30 am on Sunday morning, riot police stationed at Harilaou Trikoupi Street were targeted with firebombs as well. The incidents resulted in 16 people being arrested and no injuries being reported by the authorities.